After a massive amount of indecision over wire (who knew it came in so many different types!) we bought wire and materials for the foundation. 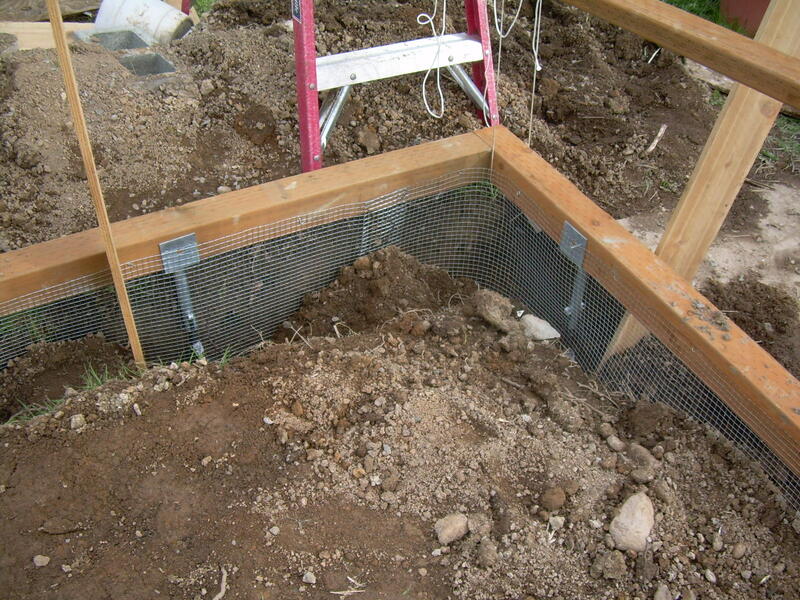 Trenches, where the soon-to-be-buried wire will keep rats and other critters from digging into the coop. Nearly everyone I mention the future chickens to has one thing to say: “I want to buy your eggs!” Seriously, it’s becoming pretty well known how horrible store-bought eggs are (even so called “free-range” or “organic” eggs. Usually all that means is that instead of the laying hens being penned in wire cages the size of a sheet of paper, they’re given “free-range” in a barn. Packed together so tightly that they can hardly move, much less find any grass or bugs to eat. Cannibalism and deaths are rampant. 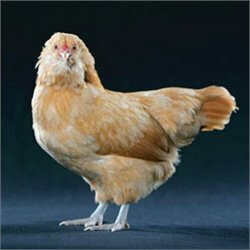 Today’s “frankenstein chicken” is genetically bred so that it grows up from chick to hen so quickly that its bones can’t keep up. These chickens often can’t stand without the serious risk of snapping their bones. It’s wrong, and really sad. No wonder there’s no taste comparison between those eggs and eggs raised the right way. 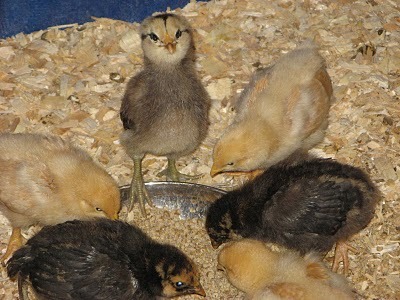 Here’s another of the breeds we are getting: the Easter Egger. And, given their name, you might not be surprised to learn the color of their eggs. 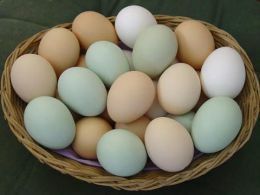 Yes, these hens do lay blue or green eggs! 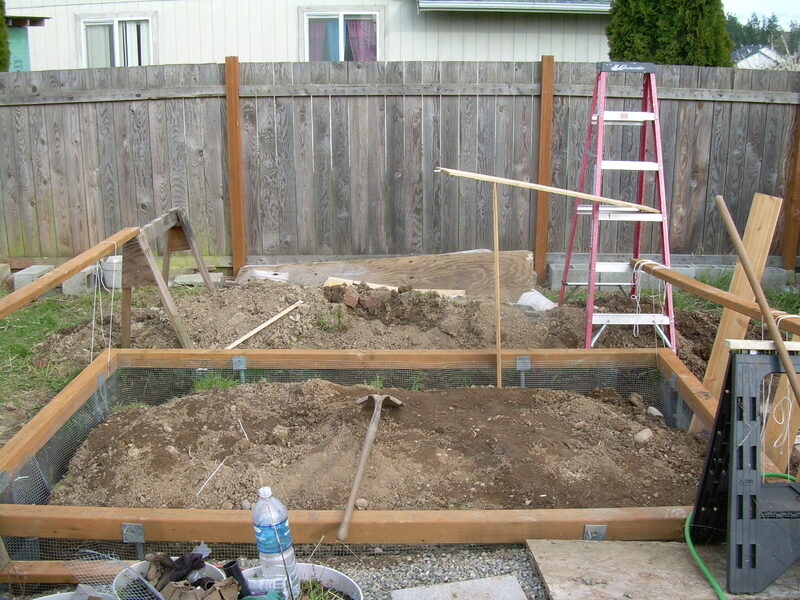 This entry was posted in chickens, Life, Pets and tagged backyard chickens, chicken coop, chickens, easter egger, eggs, factory eggs, free range, organic. Bookmark the permalink.